What you need is Suzuki Wreckers ChCh! auto wreckers Christchurch pay cash for cars anywhere in Christchurch and pay up to $7,000 instant cash for all Suzuki models. Get an instant cash quote by calling 0800735569 or text 021686757. You can also get a quote and book free removal by using the form on the right. No matter where you are in Canterbury, we’ll travel to you to remove your Suzuki car or 4×4. When the alternative is paying to have a towing company take it away or paying to dispose of it, our free car removal service is a good option! You’ll find more info on our cash for cars page and you can contact our team if you want to book the free same-day car removal service. Suzuki parts are held in high regard as inexpensive and durable. It comes as no great surprise then that there is great demand for Suzuki spares in Canterbury. Suzuki Wreckers ChCh are specialist Suzuki wreckers proud of our long association with the brand. If you are looking for a wide range of Suzuki parts then you have arrived at the perfect destination! If you want to buy the Suzuki car parts online then Suzuki Wreckers ChCh are a great choice for you. 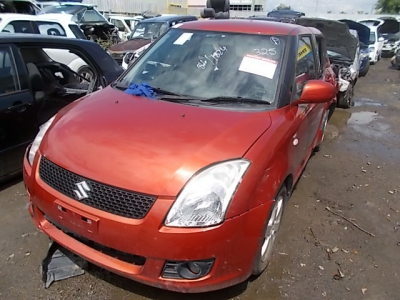 Have complete faith that you are purchasing quality used Suzuki parts for your vehicle from experienced and trustworthy Japanese car salvage company. We offer Suzuki car parts at extremely affordable prices. Find your local Suzuki scrap yard: Suzuki wreckers Auckland, Suzuki wreckers Hamilton, Suzuki wreckers Wellington. Suzuki Wreckers ChCh stock among Canterbury’s biggest range of Suzuki parts – second hand, utilized and reconditioned spares. Mechanical Parts: Engines – Gearboxes Transmission – Diffs – Hubs. Find your Japanese auto dismantler in Christ church: Honda wreckers, Toyota wreckers, Nissan wreckers, Mazda wreckers. This entry was posted in Recycling and tagged Suzuki Aerio/Liana, Suzuki Alto, Suzuki APV, Suzuki Cappuccino, Suzuki Carry, Suzuki Cultus, Suzuki Equator, Suzuki Ertiga, Suzuki Escudo, Suzuki Esteem/Cultus Crescent, Suzuki Every, Suzuki Fronte, Suzuki Ignis, Suzuki Jimny, Suzuki Kei, Suzuki Kizashi, Suzuki Landy, Suzuki Lapin, Suzuki Mighty Boy, Suzuki scrap yard, Suzuki Splash, Suzuki Swift, Suzuki SX4, Suzuki Twin, Suzuki used car parts, Suzuki Wreckers canterbury, Suzuki Wreckers ChCh, Suzuki Wreckers ChCh nz, Suzuki Wreckers Christchurch, Suzuki X-90, Suzuki XL7, uzuki Cervo on October 28, 2015 by southwreckers.